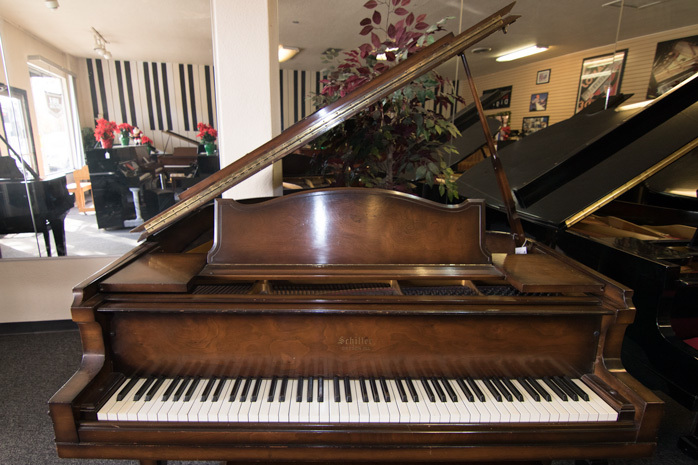 1905 Conover Upright Grand "Giraffe Piano"
The only true "Upright Grand", this piano towers 7 feet up the wall and features ivory keys and ornate wood carvings. 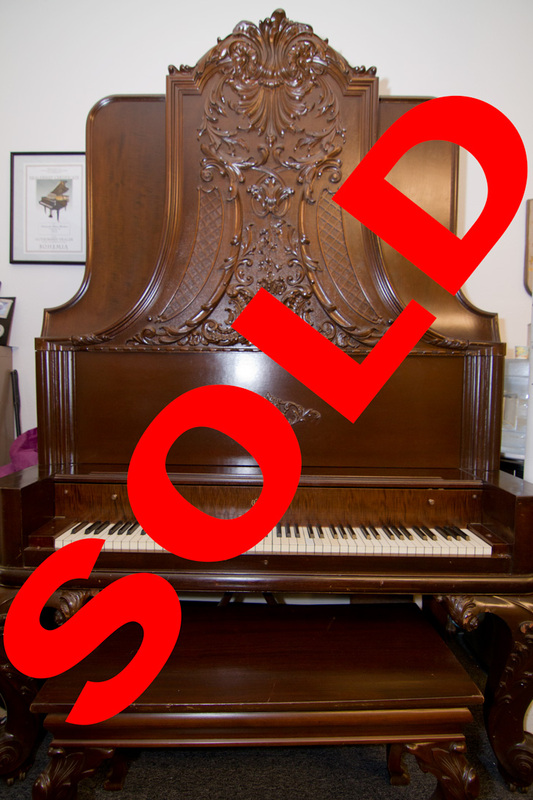 One of 50 like it built 1904 by Conover in Chicago for the Louisiana Purchase Exposition / St. Louis World's Fair, this instrument both rare and odd. The cabinet is made of beautiful Caribbean Mahogany that has distinct visible figuring (also known as tiger striping or flamed) in the wood grain. 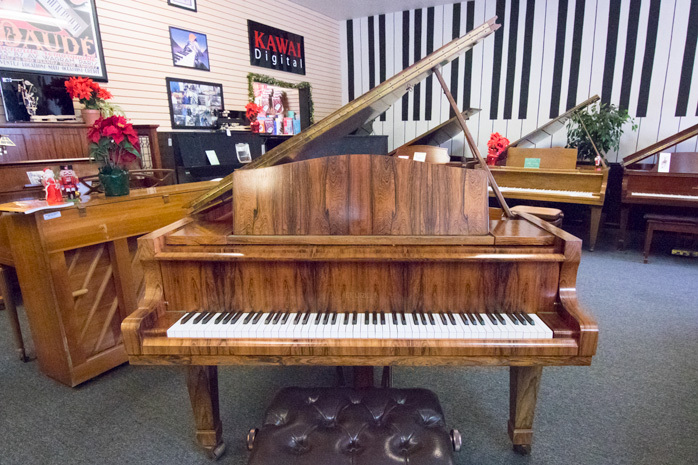 Exceptional wood and workmanship, this piano is both an antique and a rare collector's piece. 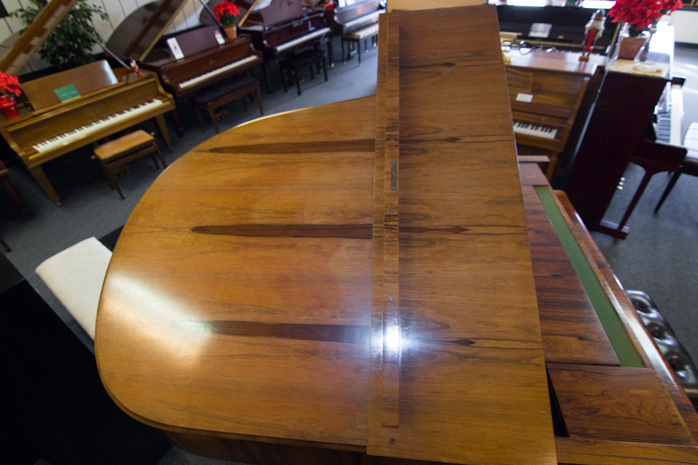 Less than a handful of these incredible pianos are available in the U.S. Please visit August Förster's website! 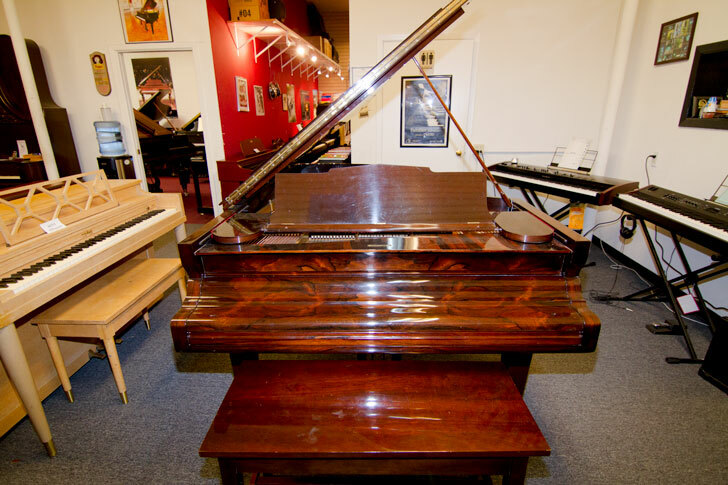 Awesome power emanates from this "battleship of pianos." 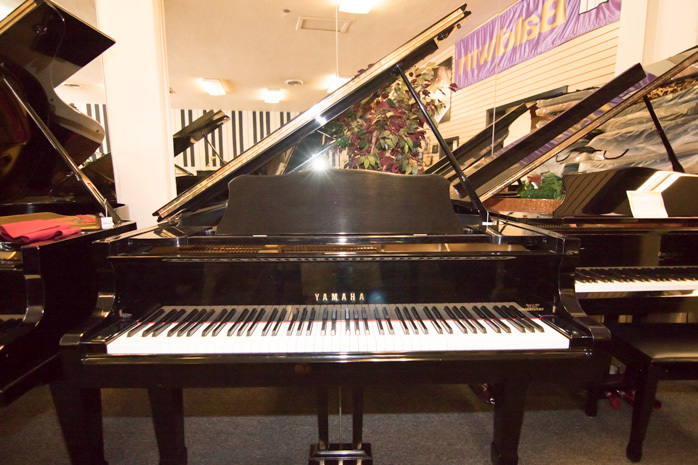 It sounds like a 9' concert grand because it's built like no other piano. This one would be great for any church or public music venue! Built in 1918. 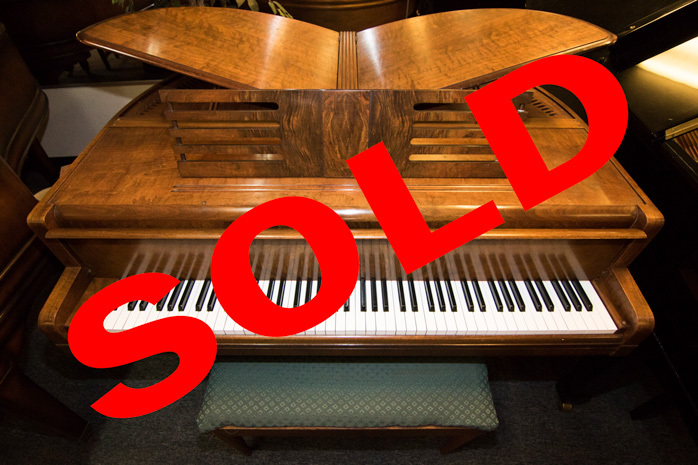 Its getting harder and harder to find a Duo-Art Player, the "King" of the older player pianos. 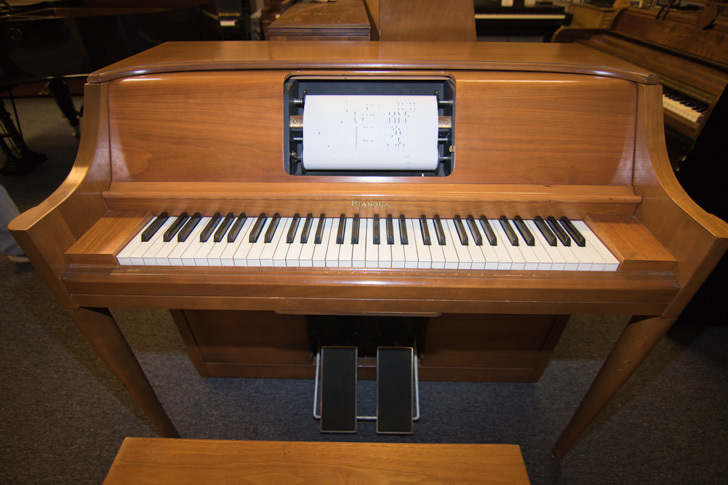 A true "computer of its day," the player reproduces the expression the pianist performed in the music. Piano rolls include George Gershwin and other fine artists of years past. Beautiful refinished case. Price reduced from $5,000 to $3,000! Only 15 years old, but looks and plays like new! 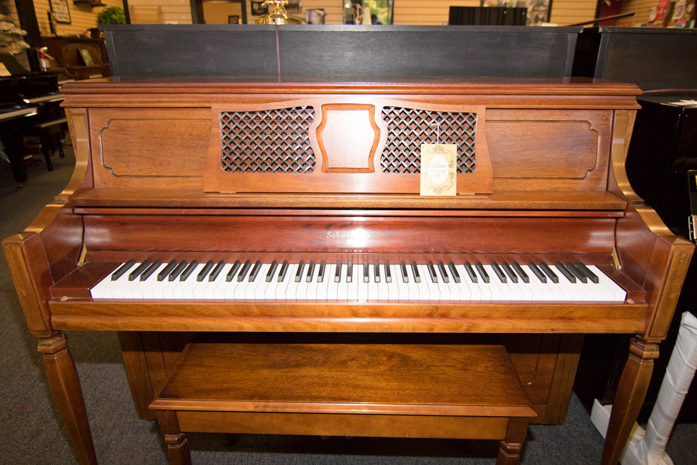 Priced at 1/2 list price of a new 1098, and it has a Pianomation player attached so it will still play for you!! Hurry, this one won't last! 7 years old but used only by the owner of PPB! Save 40% from list price!! 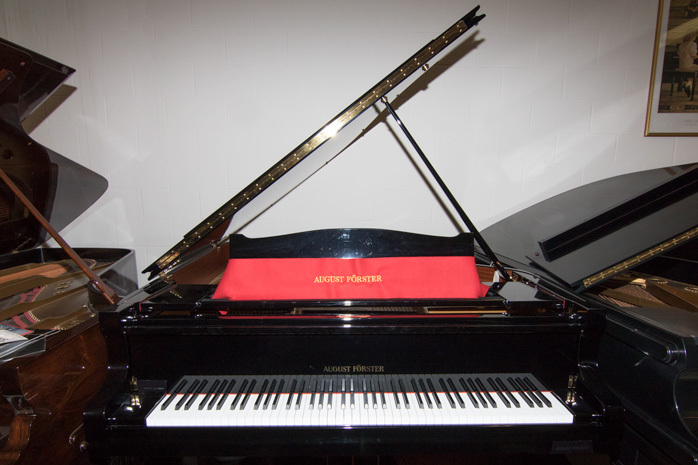 Truly one of the great pianos of the world. Handmade in Haverhill Mass. USA! 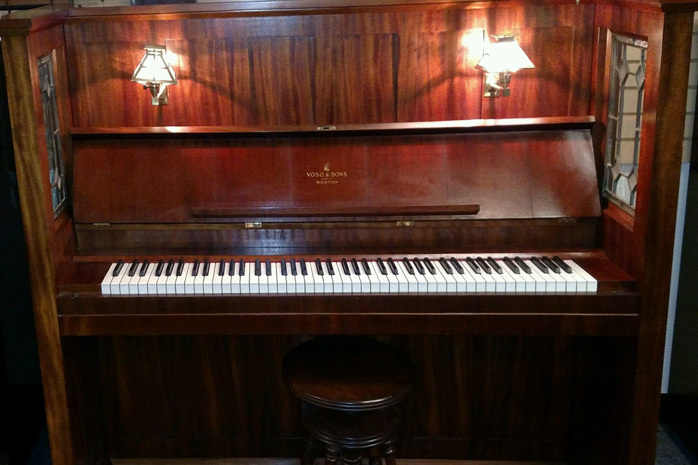 Very special Art Deco Wurlitzer "Butterfly" petite grand. 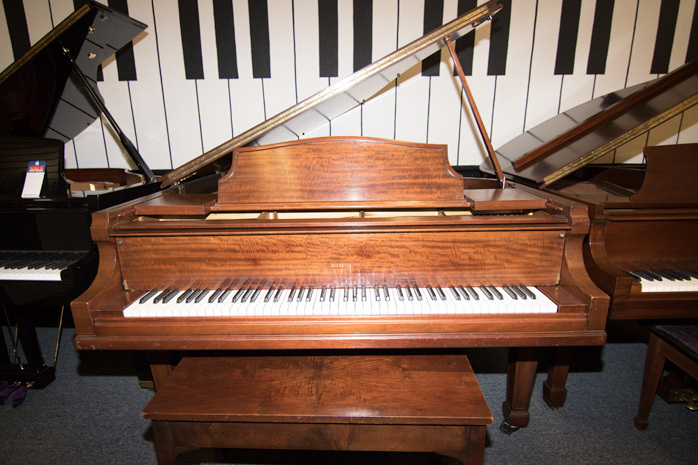 This piano is the essence of or motto: We specialize in INTERESTING pianos! Exquisitely made in Landau, Germany. Incredible Masassar Ebony finish. New Feuerichs are manufactured in Asia. This is the real deal! 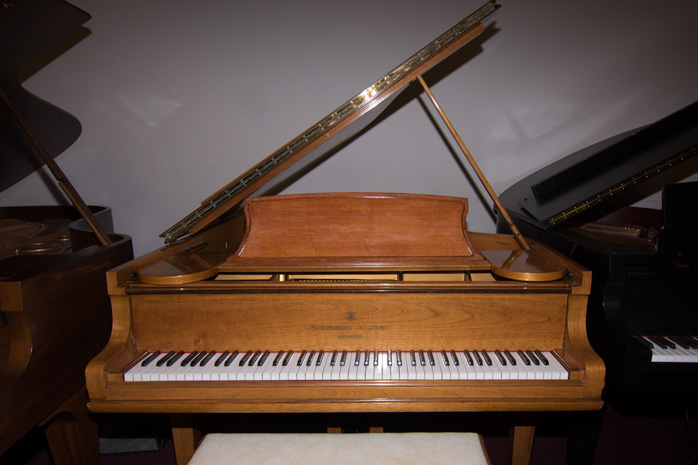 We invite you to hear this incredible instrument’s fabulously mellow tone! A German "stunner!" 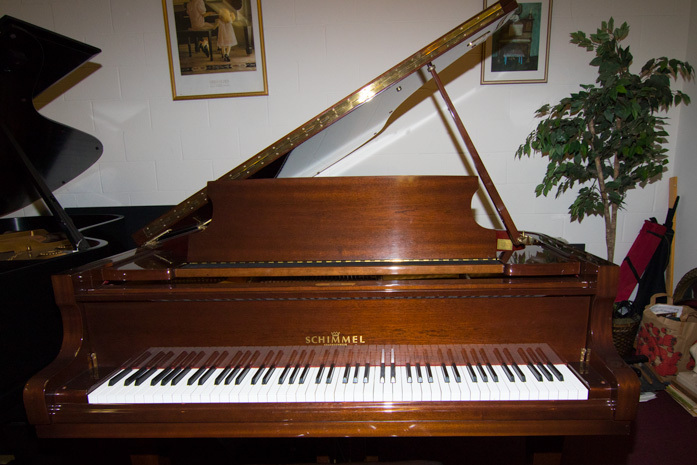 This absolutely beautiful Schimmel Louis Seize studio is in perfect condition. 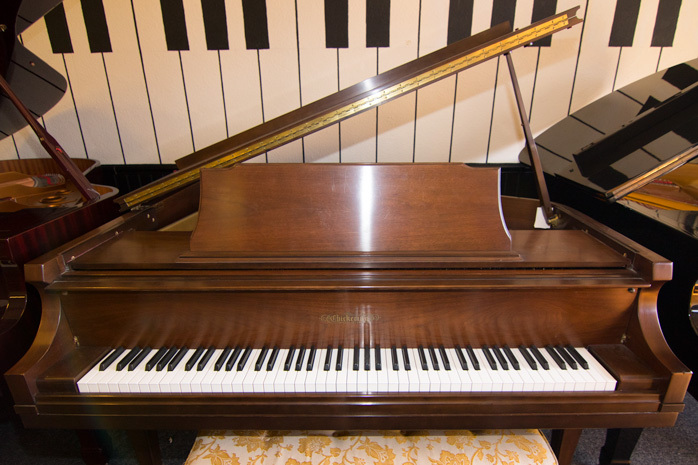 The quality of music that comes comes out of this piano totally equals the exquisite cabinetry. A piece of art!! 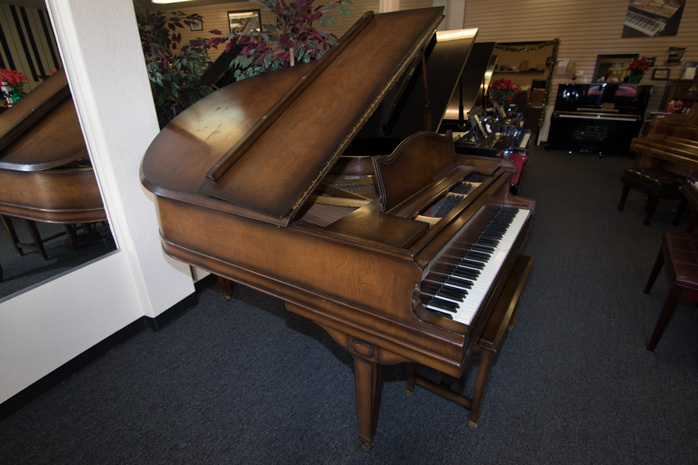 Hurry in to see and hear this treasure, it will sell quickly! 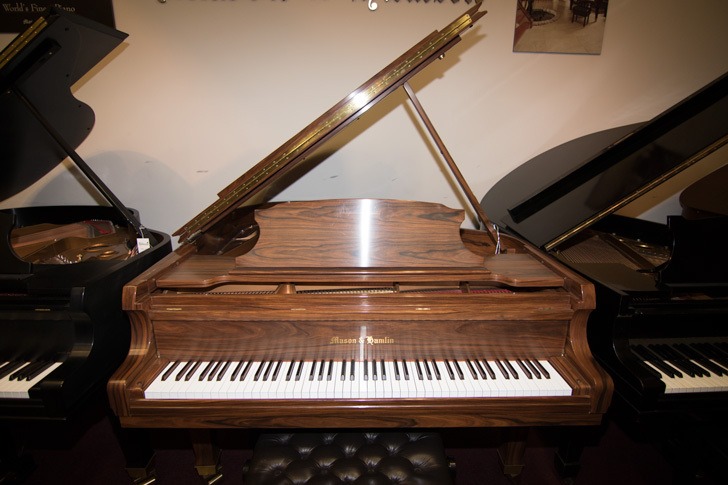 Priced at less than 50% of any new Schimmel upright. 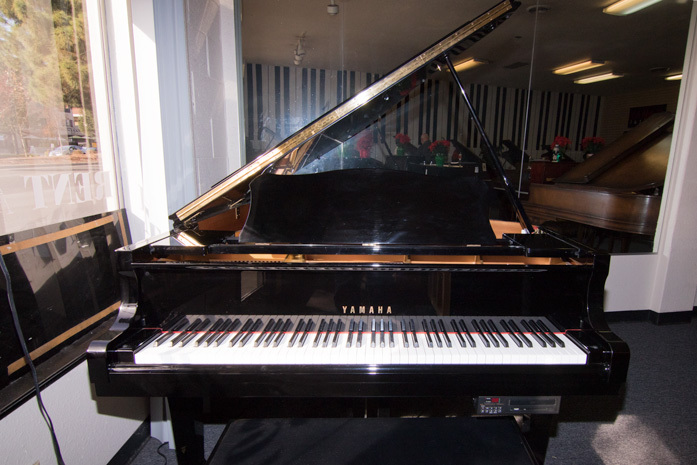 Yamaha C3 Conservatory Model grand. Consignment sale from local owner who bought it new here on the peninsula. $ave. "Oh My!" 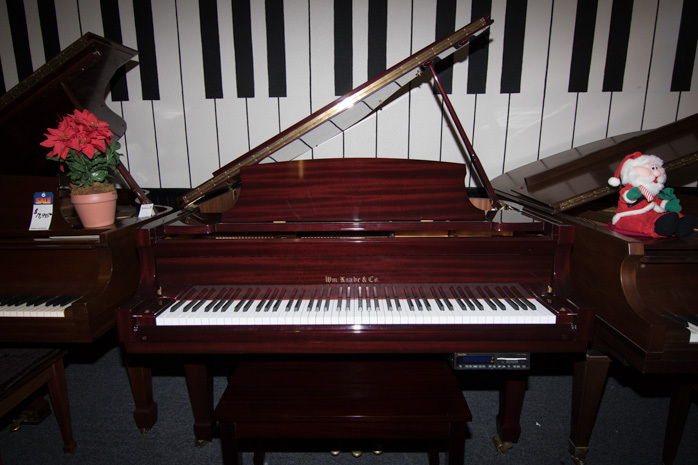 describes this wonderful investment piano very well. 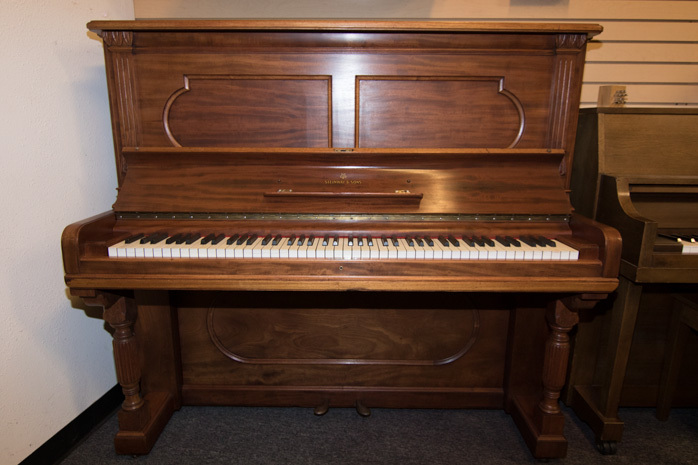 Built in 1871, this cabinet is gorgeous Brazilian Rosewood and musically the piano has recently been re-built (new strings, hammers, etc.). An Absolute Treasure! Made in East Rochester, New York. Like new in and out. Only $6,888! Truly one of a kind! See and hear to believe! Made in Germany with German perfection. Grand music in upright space! Only $6,888! An American classic! 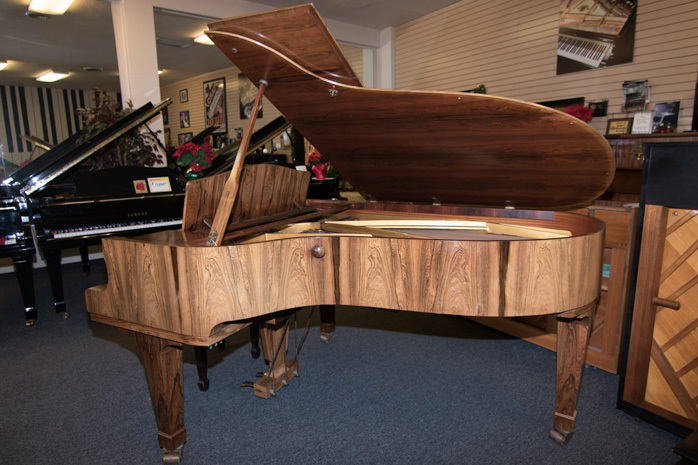 Simply a great console piano. Handmade and inspected by Harry Sohmer before it left the factory in New York. Sounds and plays beautifully! Perfect! Like new!! Germany's most popular manufacturer. 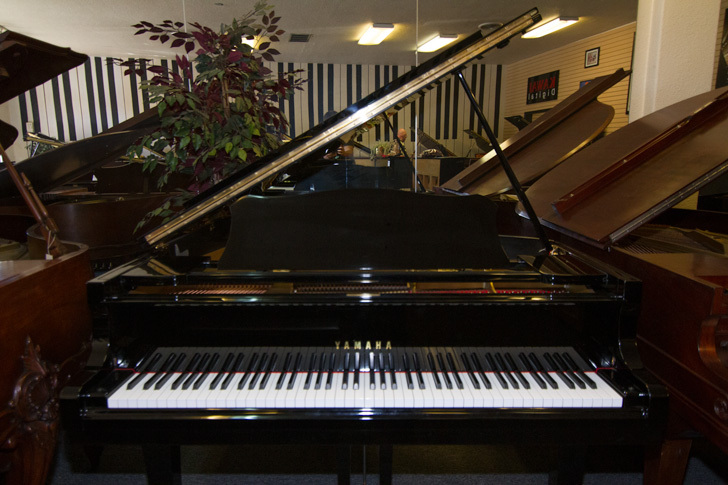 This piano is ready for an accomplished pianist. 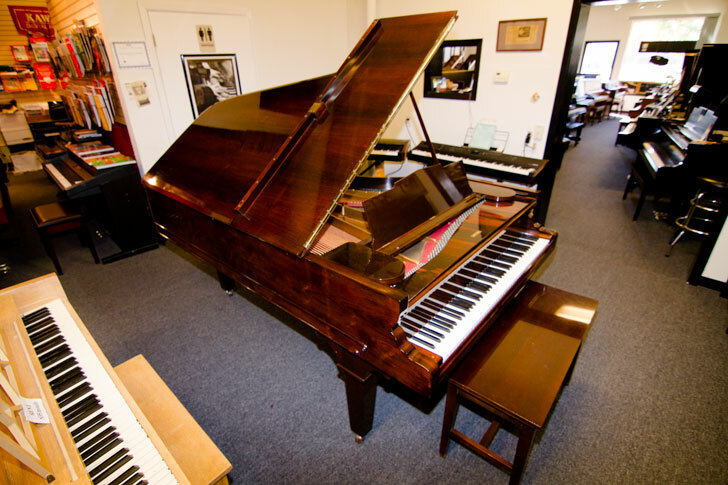 Save lots of $$$ from the price of a new Schimmel! 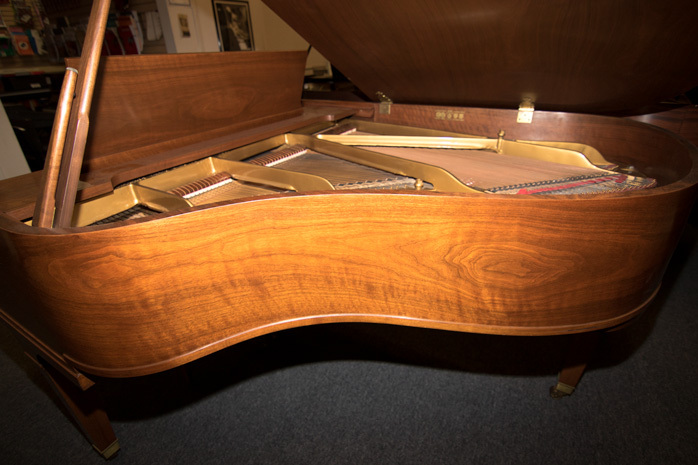 This is the 78th of only 100 Bosendorfer produced in 1958. Beautiful in and out. Price a new one, then this one at 1/2 the price!! Perfect in many ways. Even the price is irresistible! Call for information! We have a great selection of totally reconditioned used Yamaha uprights. They look, play and sound just like new! Save lots of money! 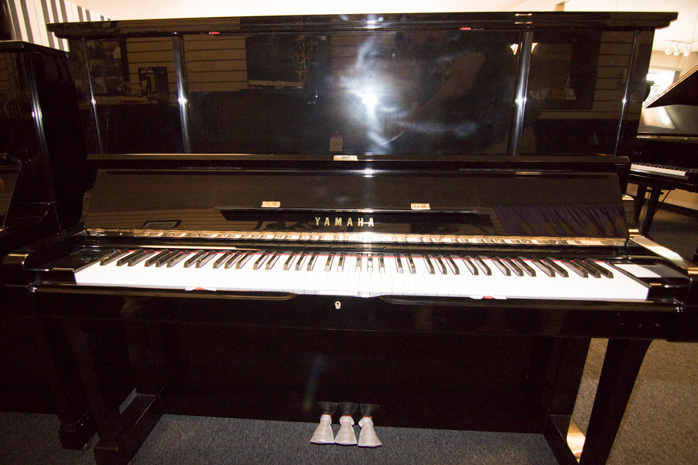 Warehouse Grand Piano Clear Out! Help, we are losing half our warehouse space soon!! 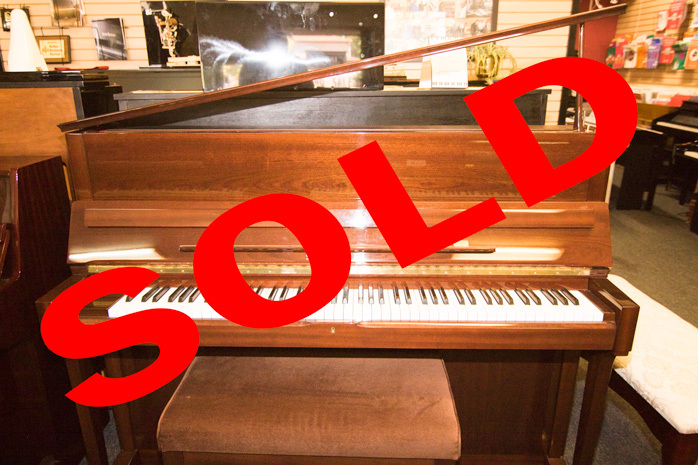 We have approximately 15 used grand pianos that we must liquidate ASAP!! They are all petite (4'8"), baby (5'-5'6"), and parlor grands (5'7"-6'0"). Prices are all "give-away" prices from $500-$2900. There are brand names such as Baldwin, Kimball, Chickering and more. They all play well and will be tuned. They all represent the best music for the dollar. Absolutely super bargains!! Hurry, at these prices they won't last long. 1st come, 1st served!!! Also, our warehouse is crammed with trade-in uprights, consoles & spinets. 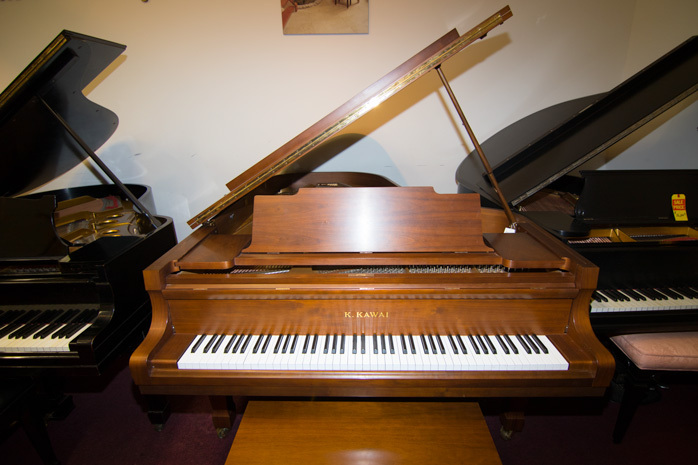 Priced from $100 to $900, these are perfect for the starter pianist. 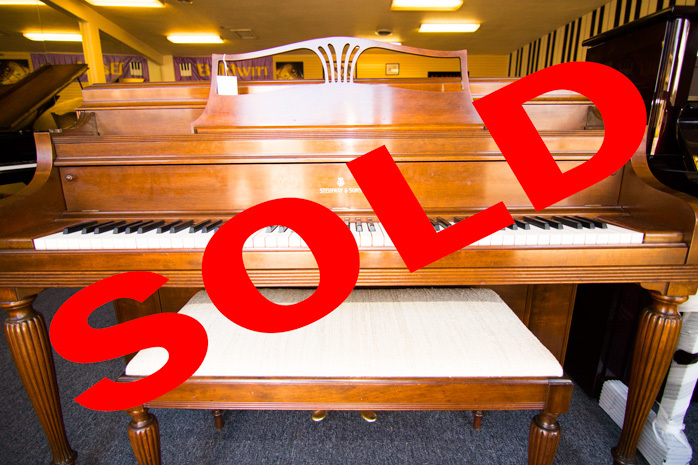 You may trade the instrument back to us at full value for a newer (or new) piano anytime you like! Beats shopping on Craigslist! 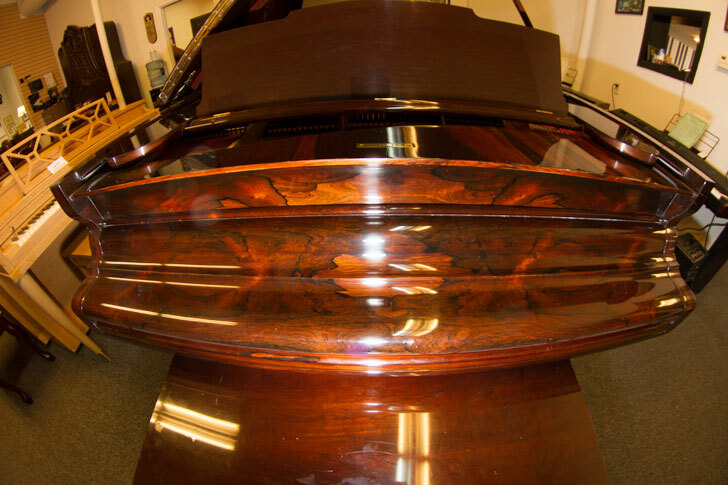 We at Peninsula Piano Brokers are told often by visitors that we have the most unusual variety of interesting pianos that they have ever seen in one place. Come in and see for yourself! 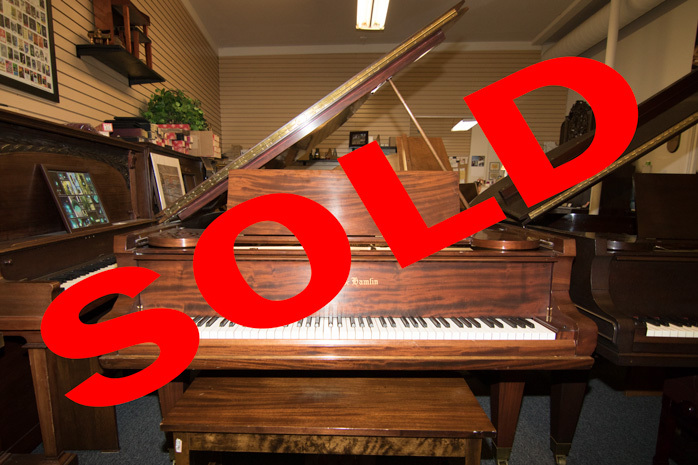 Peninsula Piano Brokers has proudly sold quality used Yamaha pianos for nearly 20 years, long before pre-owned Yamahas were referred to as "Grey Market" pianos! 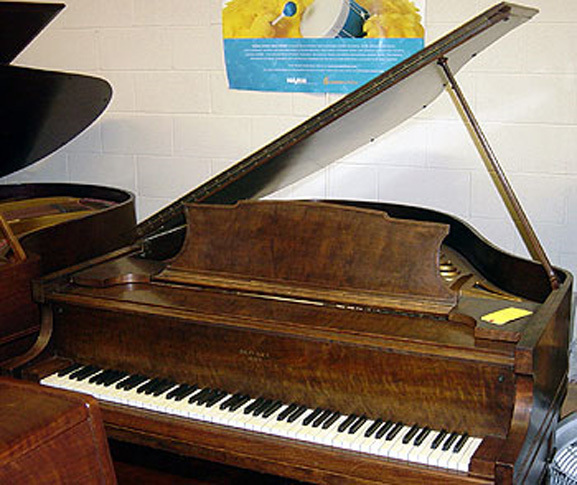 We always thoroughly inspect all used pianos and re-condition them if necessary. 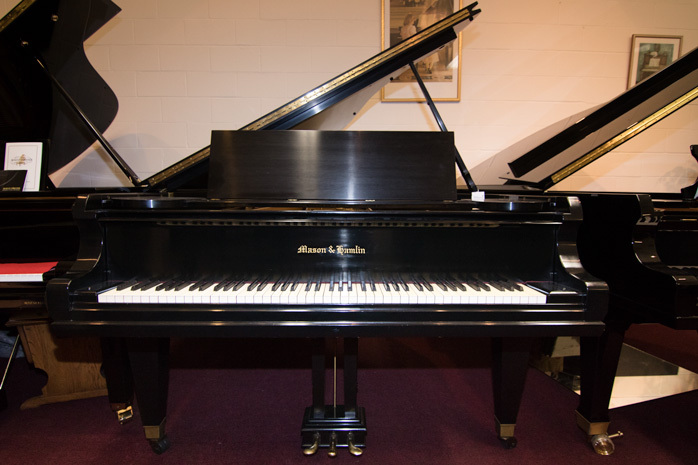 Moreover, we extend a 5 year parts and labor guarantee with each used Yamaha piano along with our 5 year full trade-in policy. 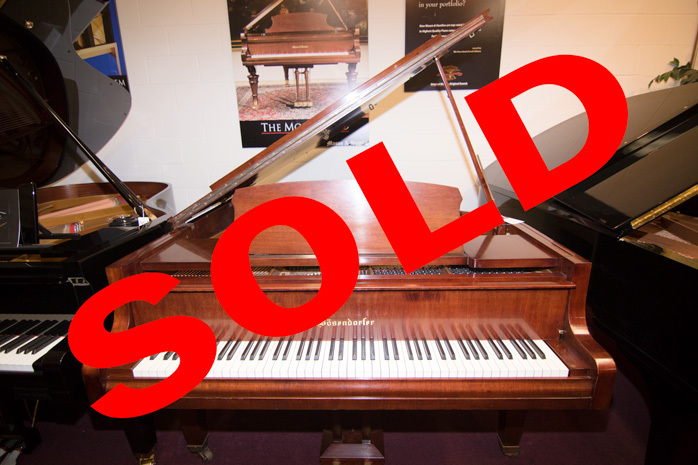 We have never experienced any serious problems with any of the hundreds of "Grey Market" Yamaha pianos that we have sold over the years. 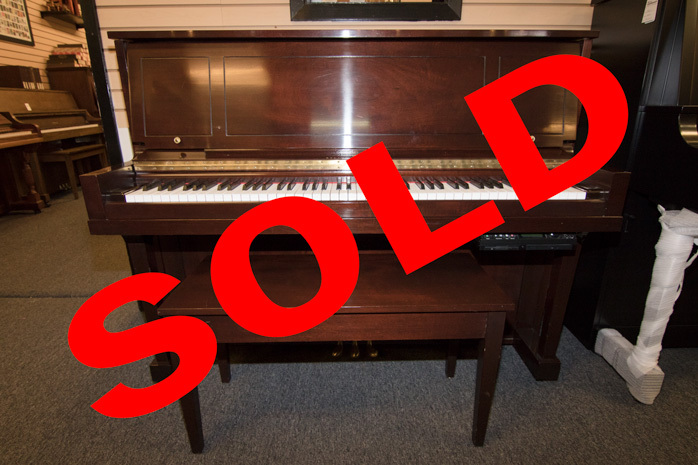 As long as they are available, we will continue to market used Yamaha pianos as we feel they present a very good value purchase for our customers. 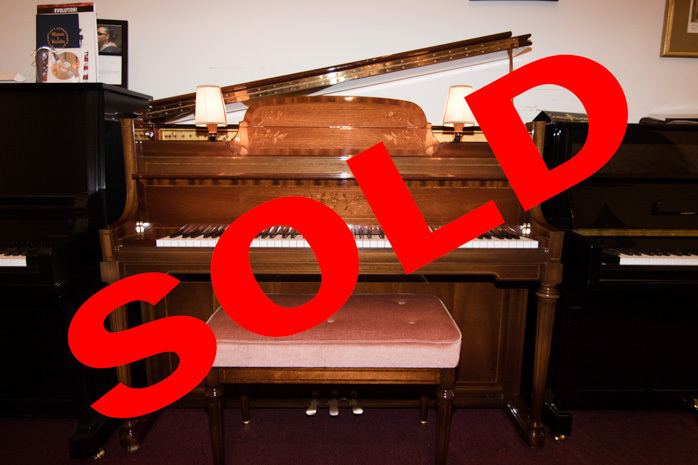 © 2014 Peninsula Piano Brokers. All Rights Reserved.